Last updated 27 November 2018 . By Anisah Audu. Finding somewhere that serves decent beers and proper cocktails can often seem like an impossible task. Head to a swanky hotel bar and you’re more likely to find a gin-fuelled Martini than a perfect pint. Get comfortable in a charming boozer, and it’s usually about ales over aperitifs. 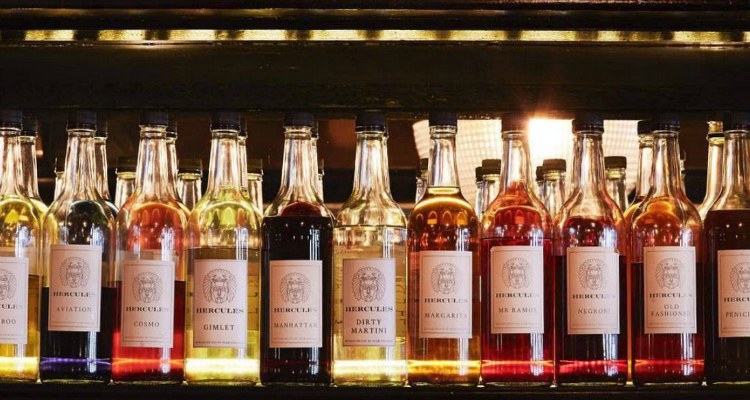 But that’s all about to change with Bar Hercules; the Soho gem offering thirsty Londoners a bit of both. 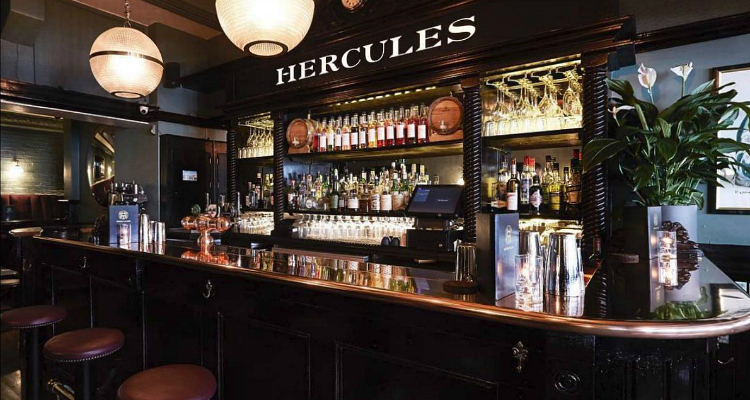 Inspired by the Greek hero, Bar Hercules is serving up a boozy menu of mythical proportions. Previously known as the Pillars of Hercules, this Greek Street boozer dates all the way back to 1733. Not only was it featured in Charles Dickens’ A Tale Of Two Cities, but it’s been a long-standing favourite of London’s literary types. Since being taken over by Be At One this summer, you’re less likely to find a writer necking a beer, rather groups soaking up after-work brews and couples getting cosy over a few carefully crafted cocktails. There's still a cracking selection of wines, ales and bar snacks, but it’s the innovative tipples that really stand out. Cocktails are serious stuff; there’s a lab downstairs, where recipes are tested and casks are aged. In the mood for something strong? Pre-batched cocktails line the bar, ensuring minimal waste and the perfect serve each and every time. There’s an element of fun though, if the portrait of our modern day Hercules (Arnold Schwarzenegger) hanging above the bar is anything to go by. After the perfect serve at a fraction of the time it usually takes? Try a pre-batched number. Visiting on a Saturday night, plush velvet booths and low-lighting made Hercules the perfect weekend spot. The menu is split between classics, reimagined (think Margaritas, Palomas and Penicillins), inspired and mixed drinks. Grabbing a couple of seats by the bar, we kicked things off with an inspired Piña Claro (£11). A revamped twist on the classic colada, this tiki treat combines Coconut Oil Banks 5 year rum, pineapple cordial, coconut water and Fever Tree for a sparkly tipple evoking those exotic flavours, with a more mature feel. A reimagined House Martini (£11) swaps out the typical botanical base for an olive oil-infused Williams GB gin paired with Dolin Dry vermouth and salt. Make your way to the mixed drinks section and you’ll find cheeky names like Bang Tidy and Lads On Tour. We chose Kevin’s Perry (£11); a full-bodied mix of PX, Pet-Nat cider and bergamot and a pollen-infused Hive Mind (£12). A curious blend of scotch, banana, and oak, short and bitter notes complemented a sweet meringue garnish. Meet the Piña Claro: the Colada's more mature sibling. 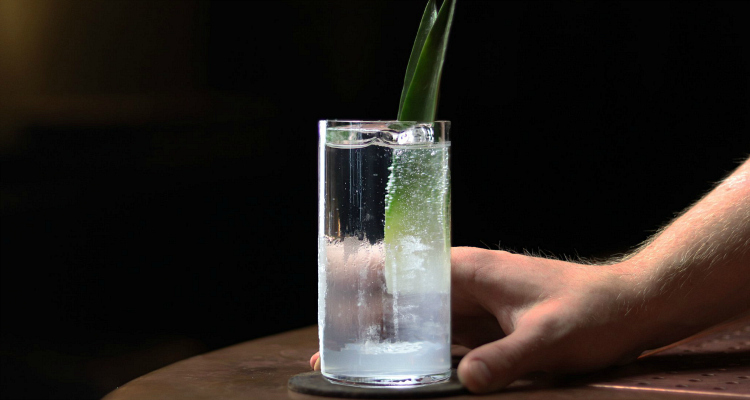 Whether you’re partial to a Guinness or a Gimlet, Bar Hercules can do it all. Sultry and sophisticated yet chilled out, this is the perfect date night pick. While we’re partial to cocktails, the beer selection is just as impressive here and the bar snacks will keep you sufficiently full. What more could you need?